Its the time of year again and my exhibition is finally happening. 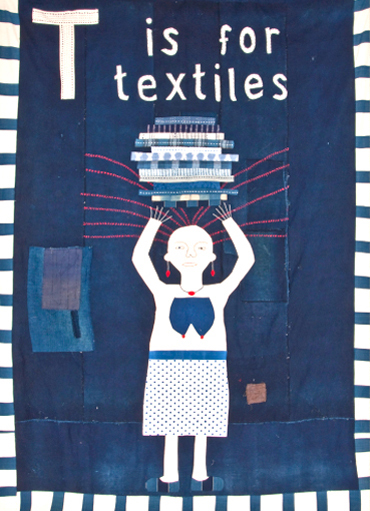 I am very excited about it and want all you textile bloggers to come. I have made 4 trips to different parts of India this year designing new quilts, clothes, scarves, cushions and tablewear. Giant hand stitched calico parcels are still trumbling through the door as I write. I have worked with new people in Gujurat from Bhuj. They work with natural dyes and are magnificent tie and dyers and ajrakh printers. From their exquisite fabrics I have scarves, clothing and childrens patchworks. In Bengal I work out in the weaving and stitching villages and from their beautiful work is my new range of handwoven, hand-stitched quilts. In Jaipur I work with Sunny, Meeta and Pintu famous for their natural dye mud resist block printing. I make a range of men's shirts from their delicious printed cottons. 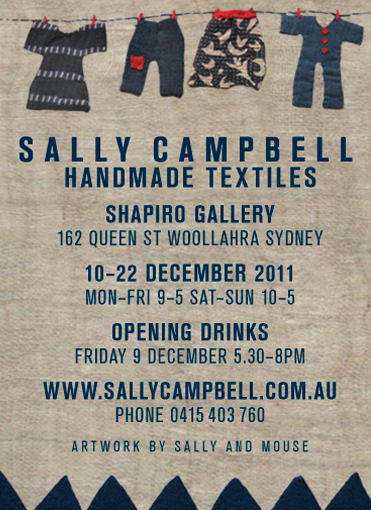 Not to mention the great shibori sister team Prabha and Kusum and their amazing indigo designs I cannot resist. From their fabrics I make clothes and patchwork quilts. Also dotted round all these foreign parts are marvellous, shrewd antique textile dealers. I sit and have my tiffin lunch with them while I drool at which fabulous old kanthas or phulkaris. Greg my partner in crime has to deal with all the fierce bargaining. They are all so talented and mostly fun to be with (not mentioning the hiccups along the way). I am constantly stimulated and learning from them. After every trip I am pouring with new ideas. Its the great seduction of heavenly textiles of course. And I am a total addict.